Let’s consider the bedside table. You can have on it a hand cream, an alarm clock, a mobile phone and current book. Often there’s a glass of water or cup of tea hanging around too. 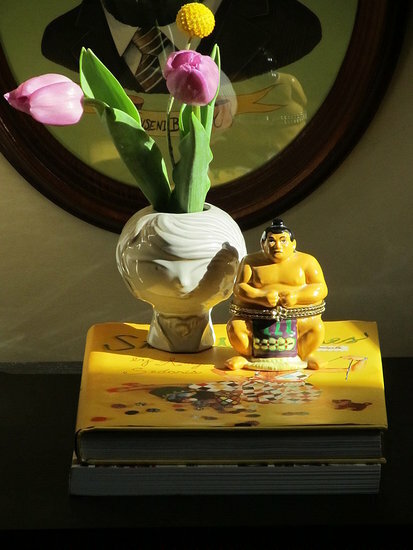 Then there could be a few photo frames, trinket boxes and other knick-knacks we all like to keep nearby. It all adds up to an awful lot of stuff, but if these items are placed on the tray, they become a display rather than a randsom assortment of things that have been left lying around. 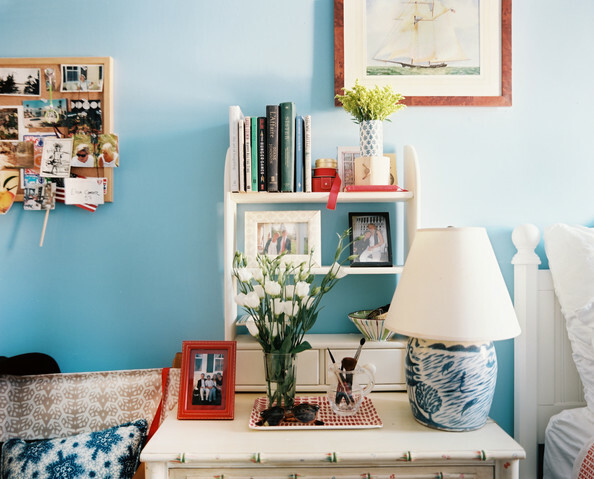 For example, try découpaging the tray with vintage paper or old photographs for a lovely vintage twist. 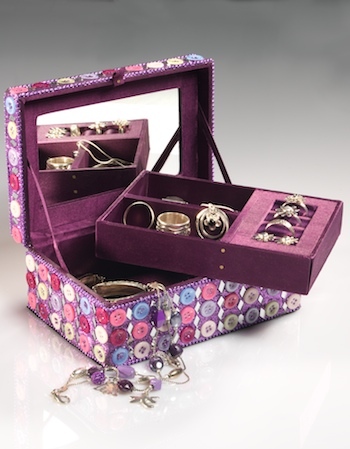 Another idea for decluttering your bedside table or dresser is to create a beautiful stand for your jewellery. Just get some vintage plates of different sizes and glue eggcups or teacups between them, like the pedestals on a cake stand. 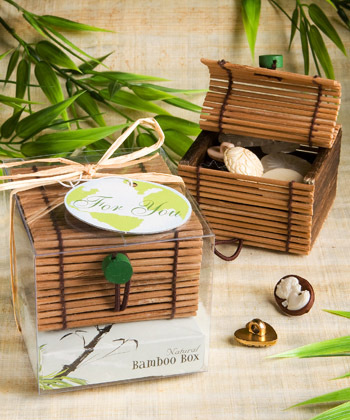 Or make your own trinket box – inspiration for this is all around you! 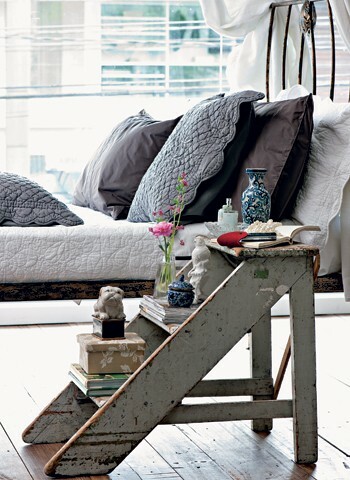 Side tables in the living room can be treated in similar way to bedside tables. Keep your essential everyday stuff neatly contained on a pretty tray, and arrange a collection of, say, pillboxes or powder compacts alongside it. 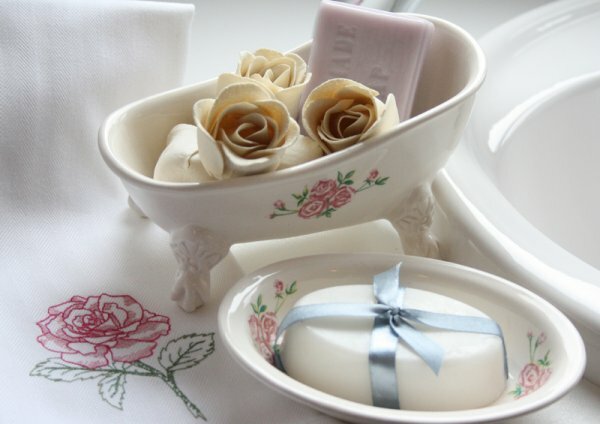 Vintage bowls can bring wonderful order to the disparate stuff that always seems to gather in the bathroom. Use them to hold toothbrushes, soap, jewellery or cotton wool. In the living room a small wicker basket will keep your remote controls tidy, and you won’t have to spend hours looking for them down the side of the sofa. Even the most mundane items can be turned into an opportunity for a finishing touch, and tissue boxes certainly fall in this category. Some people think the idea of covering them is twee and outdated, but not necessarily! The covers can be easily made from vintage lace or fabric. Just cut and sew for side pieces to a top piece in which you have created a slit and there you have it – a fantastically easy way to turn a mundane item into a crafter’s dream. That’s what finishing touches are all about!